This is a shop favourite bicycle for people wanting a tough mountain bike to ride off road with good power and durability and at an affordable price. We use the Montari 2 from AVANTI and install the proven high power BAFANG mid-drive conversion kit onto it. This model currently has the 750W version. The bike comes with strong TEKTRO hydraulic brakes and a decent suspension fork to hit some light trails. This bike handles well and has all the power you’d expect from an electric mountain bicycle. There are a few size options, with medium and smaller using 27.5″ rims and large and above using 700c rims. 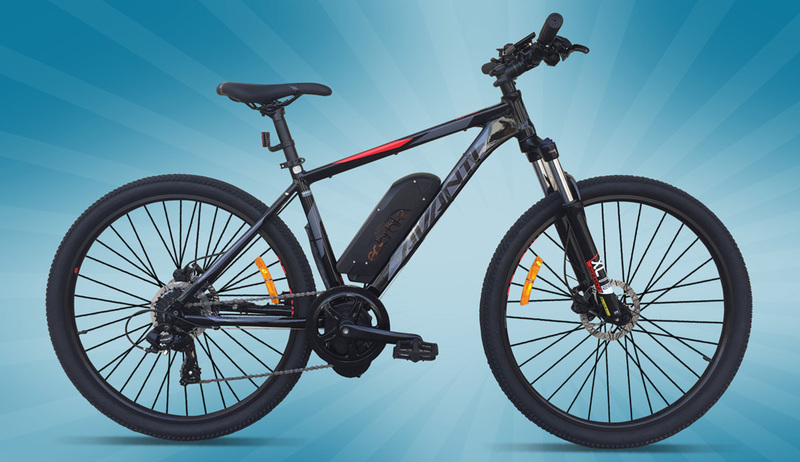 The motor and battery can be increased or decreased in power and capacity depending on rider wishes. Please come in to take a look at this model if you’re interested in an off-road electric mountain bike. Motor: Off-road 750 Watt BAFANG mid-drive. Up-gradable to 1000W or on road legal 250W motor also available.